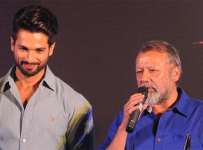 Gully Boy may open at Rs 13 crore! Ranveer Singh and Alia Bhatt-starrer ‘Gully Boy’ will hit the screens tomorrow, and not on Friday, to attract audiences on Valentine’s Day. The film has already piqued the fans with its chart buster songs, with an immense response of advance booking. 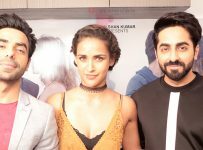 Buzz suggests that ‘Gully Boy’ will record a remarkable opening of Rs 10-13 crore and the numbers are only expected to increase with the weekend. Directed by Zoya Akhtar, ‘Gully Boy’ is inspired from the life of Mumbai based rappers, Divine and Naezy. With Ranveer riding high on the success of ‘Simmba’, his rapper act could also attract a massive audience! 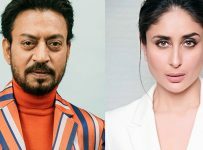 Irrfan, Bebo in Hindi Medium sequel?